Up 4% from the year before, 307,000 breast augmentation procedures were performed in 2011. Fueling this growth are several factors including better technique and implants, including those made from silicone cohesive gel , resulting in a more natural and aesthetically pleasing shape. First introduced in the 1960s, silicone breast implants were widely used to help patients enhance their bust line until the late 1980s when the FDA placed a moratorium on silicone breast implants due to safety and efficacy issues. Later determined to be safe in 2006, new silicone breast implants became available that offered patients not only the option to go bigger but to also achieve more natural-looking results. 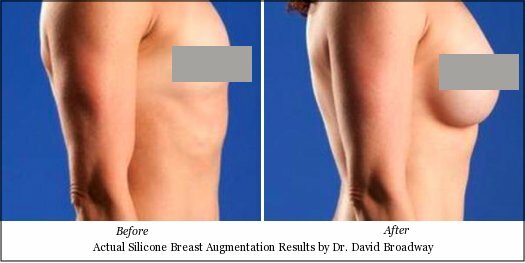 According to triple board certified Denver plastic surgeon and breast augmentation expert Dr. David Broadway, "We have over 9 years of experience with primary breast augmentations with silicone gel implants. As a part of the national study to determine the safety of this type of implant, we believe silicone breast implants are the standard of care." procedures, the leader of the pack in surgical procedures is still Breast Augmentation. As opposed to saline breast implants, which saw a rise in popularity during the FDA moratorium, the new silicone breast implants are comprised of a memory gel formula which provides a more natural look and feel. "Silicone breast implants seem to look and feel more natural than the saline implants. They have a much lower risk of rippling and wrinkling," explains Dr. Broadway. In addition, it appears that silicone breast implants may be safer and have less complications. "Patients who undergo breast augmentations with silicone breast implants have a lower failure rate and a lower infection rate," states Dr. Broadway, "The main disadvantage to choosing silicone is based merely on cost." At his Denver practice, Dr. Broadway says it is uncommon for them to perform breast augmentation with saline implants and that they are 99% silicone gel today. "In Colorado, the trend that we are seeing is patients want to look natural and healthy," describes Dr. Broadway, "They’re not trying to make a social statement with their breast implants or their bodies. Our patients want to look great in a jogging outfit as well as an evening gown." Since the tendency is to go smaller, patients who undergo breast augmentation with Dr. Broadway experience more natural results with less risk of oddly shaped breasts. It is important to take the patient’s stature into account when considering breast augmentation since too-big implants could be visible under the skin, causing unsightly ridges. With the emphasis on natural looking breasts, the importance of shape and placement is integral to the procedure. It is recommended that patients swap out their implants every 10 years or so for health reasons but Dr. Broadway says it is uncommon for patients to swap out for larger implants. "It is extremely rare for patients to request for larger implants. In my career, I have had a dozen or so patients request that their implants be exchanged for a different size and more than half of those have elected to go smaller rather than larger," states Dr. Broadway.